A commercial coffee grinder is the preferred method for getting the freshest results and the best coffee flavor. 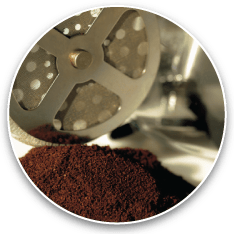 Whether you’ve chosen a traditional auto-drip coffee machine or an espresso/cappuccino machine, finding the correct coffee grind for each coffee delivery system is a must. Grinding the beans right before brewing is a step often skipped, but it’s the difference between a mediocre cup of joe and coffee that’s sublime. The Java Geniuses at Quality Express Coffee offer an extensive selection of coffee grinders to give your coffee station the kick that keeps people coming back for more. Click on the links below to learn more about the coffee grinders QEC provides.